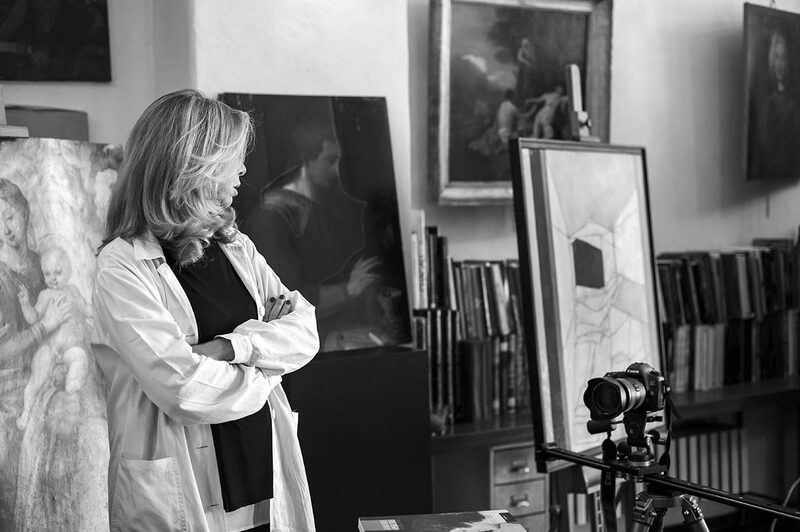 Since their fruitful partnership began in 1989, Valeria Merlini and Daniela Storti have successfully undertaken numerous large-scale conservation and restoration projects. Through these experiences, they have gained recognition for their exceptional technical skills and for their expertise in team management. In 1999, Merlini and Storti restored Caravaggio’s The Pilgrims’ Madonna in situ at the Church of Sant’Agostino, making them the first to carry out an open restoration in Italy. 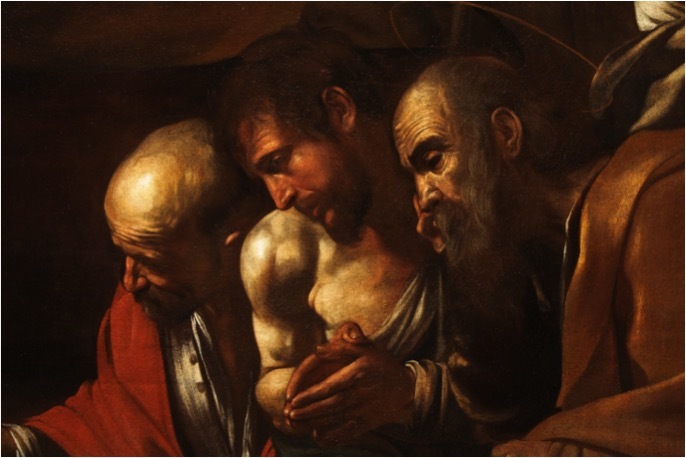 Thereafter, they performed restoration work on Giulio Romano’s Holy Family and Caravaggio’s Adoration of the Pastors in public spaces provided by the House of the Parliament, which enabled curious onlookers to examine restoration projects close-up. 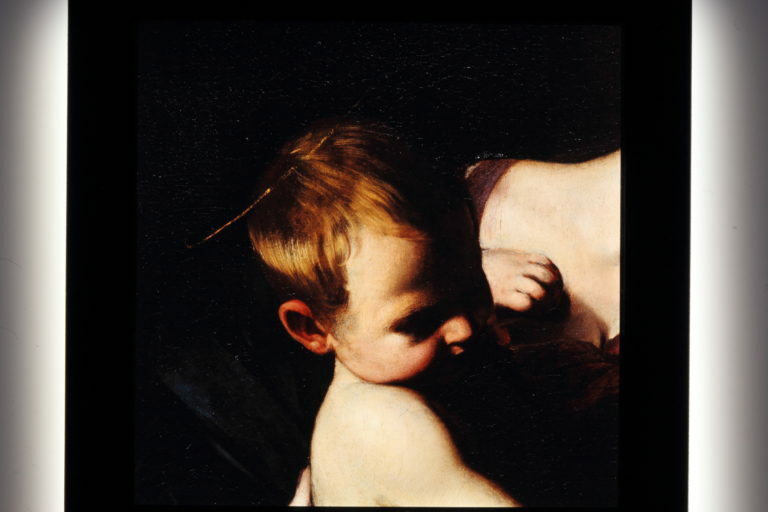 Since 2008, born with the exhibition of Caravaggio’s The Conversion of Saul from the Odescalchi collection– which Merlini and Storti also restored–they have curated an annual special exhibition focusing on an “opera unica” (one work of art) hosted by the City of Milan in Palazzo Marino and produced by Eni. By successfully exhibiting several masterpieces loaned by the Louvre, including those by Leonardo, Titian, Georges de La Tour, Canova, and Francois Gerard, they have developed a rewarding and stimulating relationship with the Louvre. Through this annual program, they also had the opportunity to curate an exhibition of Raphael’s The Madonna of Foligno, a work from the Vatican Museums. In 2015, as part of the Brave Art project, they initiated “Il restauro a scuola: ad amare l’arte si impara,” (Restoration at School: Learning to Love Art) a program aimed at raising awareness among young people about the importance of Italy’s artistic heritage. 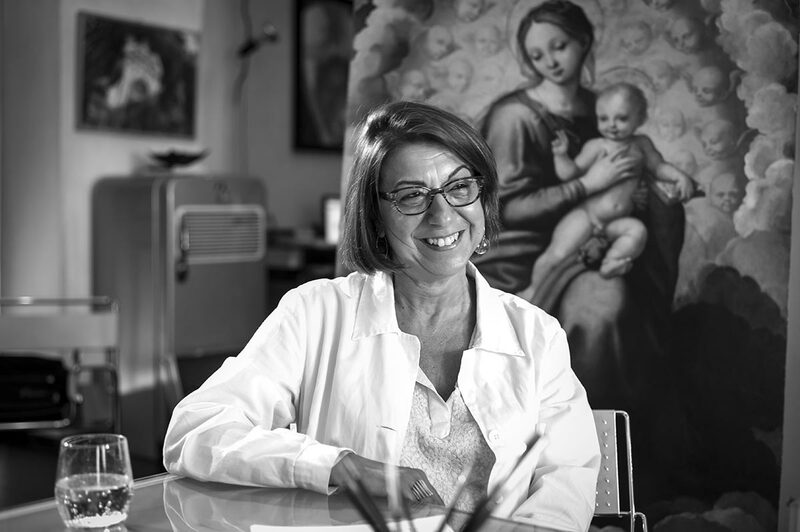 In the Great Hall of Ennio Quirino Visconti High School, Merlini and Storti carried out a restoration of Luca Giordano’s Christ among the Doctors, allowing students to observe the project and engage with art restoration in a novel way. Between September 2016 and February 2017, Merlini and Storti collaborated with Eni to curate “Vivilpresente” for the Rome Quadriennale, which aimed to bring children closer to contemporary art. In May 2017, after receiving a public grant (“Scuola: Spazio Aperto alla Cultura”), they worked to create a collaborative work of art with the Ennio Quirino Visconti High School and artist Gea Casolaro. Over the course of six months, a group of students from the institute created a work of art and presented it at an opening at the high school.